I have been researching into the common principles of engineered and natural systems and their development, collective perception and action, functions and protocols, language and other forms of representation, analysis and synthesis, organisational function and dysfunction, questions of optimisation of discipline and freedom, hierarchy, co-operation and conflict. I have been developing a new broad yet precise systems approach. I also currently have about 400 pages of notes on the subject. My interest in general systems came from three roots, philosophy, engineering and organisation. Philosophical questions regarding the nature of human perception and understanding have haunted me since 1988 and these ideas were evolved in a text "The Blue Apple", so entitled to demonstrate the capacity of language to describe that which doesn't exist, It has since grown into other things. In my business there was a very practical need to bring the maturity of the electronic engineering industry, with it's clear datasheets and well defined components, into the software industry where most of the people in the industry cannot define software engineering and certainly don't practice it! From the need to organise development projects, manage requirements, write clear specifications and good designs, sprang a text called "The Engineering Paradigm". Engineering, it states, is the putting together of systems out of components. From this definition it became clear that the field, of what might be considered engineering, ranged across software, electronics, mechanical, civil and other traditional engineering, through to many other natural systems such as plants and animals. Could the principles of writing a specification for an engineered system be used to write a specification for a natural system? How do the levels of evolutionary maturity observable in natural systems correspond to the levels of evolutionary maturity seen in engineered or artificial systems? How did natural systems evolve that could engineer other systems and how might we engineer systems that will in turn engineer other systems? Over the years of running a business I found myself more and more absorbed in the search for an understanding of organisations and their function and dysfunction, questions of discipline and freedom and how individual objectives can be fulfilled at the same time as organisational objectives. As a result of the work on "The Blue Apple", "The Engineering Paradigm", knowledge of businesses organisation and watching three children growing up I have done a lot of work directed towards understanding natural and engineered systems. "Cybernetics: or Control and communication in the Animal and Machine" by Norbert Wiener (1948) published by MIT Press. "The Computational Beauty of Nature" by Gary William Flake (1998) published by The MIT Press. "Reinforcement Learning" by Sutton and Barto (1998) published by MIT Press. "Behaviour Based Robotics" by R C Arkin (1998) published by MIT Press. "Genetic Programming" by Banzhaf Nordin Keller Francone (1998) published by Morgan Kaufmann. "Fundamentals of Natural Computing" by L N de Castro (2006) published by Chapman & Hall/CRC. Supply and Demand is totally unlike that shown in the text books.Traditional textbooks on the subject seem to shed no light on it at all with things like supply and demand curves that have nothing to do with real economics. Tell me one of anything, that if you double the price, the amount supplied doubles and the demand halves. No it doesn't work like that does it? Is it possible that economists create mathematical models of what are mainly social phenomena hoping for results as accurate as those of physics. In so far as the mathematics of economics, models real phenomena, it will give real predictions, and in so far as it models intuitive guesswork it will give intuitive guessed predictions. In computer terms "Garbage In Garbage Out." "When Money Dies" by Adam Fergusson (1975) now published by Old Street Publishing. "Exchange Rates and International Finance" by Laurence Copeland (2005) published by FT Prentice Hall. "Propaganda" by Edward Bernays (1928) now published by IG Publishing. Provoked by Mosem Begg's autobiography regarding his experiences in Guantanamo, and the eternal hope in all of us that his story was simply the fiction of a deranged liar. I took the liberty of looking into the modern history of torture and besides finding that the story given in the book corresponded perfectly to all other documents on the subject that I could come by, I also found an unpleasant trail of almost mysticism that surrounded the use of torture beyond any sensibly justifiable levels. Seemingly torture and intimidation is a growth industry with the interrogation process more and more being handed out to private companies with serious violations of basic laws originally established in the Magna Carta! I decided that the only way to counter this was with an entirely functional study. It was with considerable difficulty that I have put my distaste for the subject aside, in order to work on "The use and misuse of torture". The writing strives to be a concise functional examination of the subject. Those concerned with the subject fall into too extreme groups, those who see torture is an uncompromising way to get results fast and those who see it as morally wrong under any conditions. My examination of the subject suggests both views are wrong. 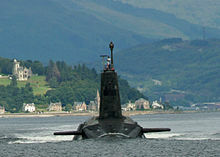 Prompted by the British governments discussions regarding the "updating" of the Trident ICBM system, so as to continue to give the UK government the capability of causing approximately 30 million deaths between 2020 to 2050. I began a study of the history of mass destruction, the need for it as an offensive measure against economies mobilised for war production, then the transition into a means of threat and counter threat after WWII, and the difficulty of decommissioning the military industrial complex at the time. Examining the history of European attitudes to warfare appears to show that they have often overlooked a war's functional purpose, expressed in Sun Tzu's The Art of War (544-496BC), in favour of the more emotionally motivated approach of Carl Von Clousewitz in his book On War (1780-1831AD). During WWII it appears that two cultures existed in the bombing fraternity. Those who believed in the Douhet's (1869-1930) principle of "demoralising the population" through mass civilian bombing and those who believed in crippling the war effort through destruction of the industrial facilities that sustained it. During WWII and due largely to the technical failure of precision bombing these two groups could work together. However even with the advent of precision weapons, it still appears that some strategists still believe in civilian bombing despite evidence that it is far less effective than strategic and tactical bombing. To what extent is human conflict functional rather then emotional? This study has also contributed significantly to my other work on conflict. "The Art of War" Sun Szu (Approx 500BC) now published by Hodder & Stoughton (Many publishers, best without explanatory notes!). "On War" by Carl von Clausewitz (1831) now published as part of Everyman's Library. "Deterrence in the second nuclear age" by K B Payne (1996) published by Kentucky. "Deterrence in the 21st Century" edited by Max G Manwaring (2001) published by Frank Cass. "A World at Total War (Global conflict and the politics of Destruction 1937-1945)" edited by Chickering, Forster, Greiner (2005) published by Cambridge University Press.